There comes a point after so many diet failures that you may be ready for dramatic measures to take off that extra weight. Fasting for weight loss is touted by some as a sure way to kick-start major weight loss. 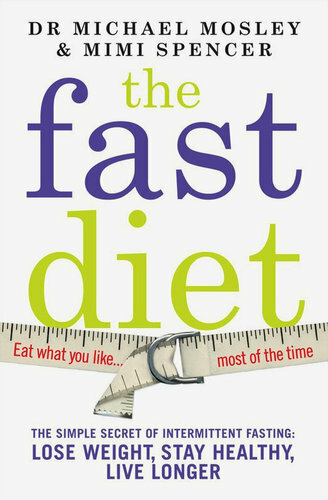 The Fast Diet, a new book written by Dr. Michael Mosley and Mimi Spencer, is based on the premise of intermittent fasting for weight loss. This new diet regimen is better known as the 5:2 diet: five days of eating and drinking whatever a person wants, followed by two days of strict fasting. This intriguing new approach to weight loss is based on Alternate Day fasting (ADF). In this type of fast, you eat what you want one day, then follow a very restricted diet (fewer than 600 calories) the next day. 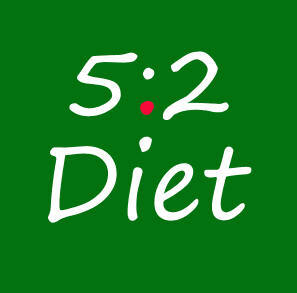 A lot of people can’t handle ADF, so the 5:2 diet is basically an easier version. With this plan, you eat five days a week as you normally do, then the remaining two days you eat two meals of roughly 250 to 300 calories each, for a total of 500 calories (if you are a woman), or 600 calories (if you are a man). If you can follow this diet for five weeks, you can lose up to 20 pounds and your blood markers (IGF-1, glucose and cholesterol) should show significant improvement. As a result, you may also substantially reduce your risk of contracting age-related diseases like diabetes and cancer. Having said that, for those individuals who are serious about fasting, it’s best to do the 5:2 diet under medical supervision. This is because there are many individuals, such as pregnant women or diabetics on medication, for whom fasting could be dangerous. 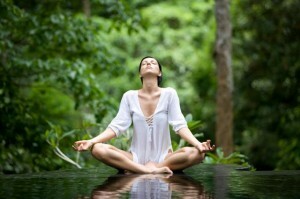 By avoiding food and the need to digest it, you are able to divert the body’s resources to healing and detoxification. Taking a break from food can renew your entire being and provide a fresh and dynamic outlook on every aspect of life. Let there be no doubt that obesity has become an epidemic, and people are letting the food they eat slowly kill them. Unfortunately, most people don’t take the steps necessary to prevent illness from taking root in their bodies. Instead, they allow themselves to become overweight, perhaps even obese. The fundamental issue here is that relying solely on doctors and medicine to address our personal health problems is not the answer. It’s better to assume personal responsibility for one’s health. You should be willing to do everything possible to improve and enhance your health, and fasting for weight loss tips like the ones in this article can be of great help. For example, a detoxifying juice fast can do wonders for your energy and mental clarity. Being overweight and with a toxic bowel can contribute to a multitude of illnesses including hypertension, heart disease, stroke, diabetes and even cancer. Cleansing diets, when combined with exercise, can help to alleviate these serious and sometimes life-threatening conditions. Diets sometimes fail because the dieter often returns to the same poor eating habits after the diet is finished. On the other hand, fasting for weight loss encourages deep body detoxification. Fasting gives the body an important opportunity to take a break from digestion, allowing it instead to shift its attention to cleansing and healing of tissues. Fasting – when done properly – can be a good way to lose weight and restore your health. Fasting helps to eliminate toxins from the body that may cause pain or disease. These toxins accumulate in the bloodstream and digestive system from the food you eat, the air you breathe and the water you drink. Another benefit of fasting is that it also helps increase mental clarity. Fasting allows you to hit the “reset button” on your eating habits and literally start again from scratch. When you do a fast, you are giving your digestion a chance to rest and your body to rejuvenate. Bad eating habits can be changed by starting over with healthier food choices that can become a way of life. A healing fast will help break addiction to food and change unhealthy eating habits. Fasting provides a reset point to literally start over. Most people have a relationship with food that is hard to break. Juicing for weight loss allows you detoxify and then take a fresh look at your old bad habits. 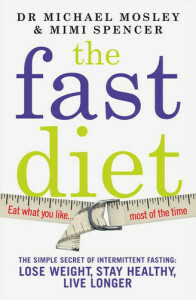 Ideally, a successful fast leads to a permanent change in your eating habits. A fasting program may take some time, but in the end you will teach your body to enjoy raw foods and feel satisfied with healthy foods. It’s not just about the weight – you literally can change your life by fasting for weight loss!